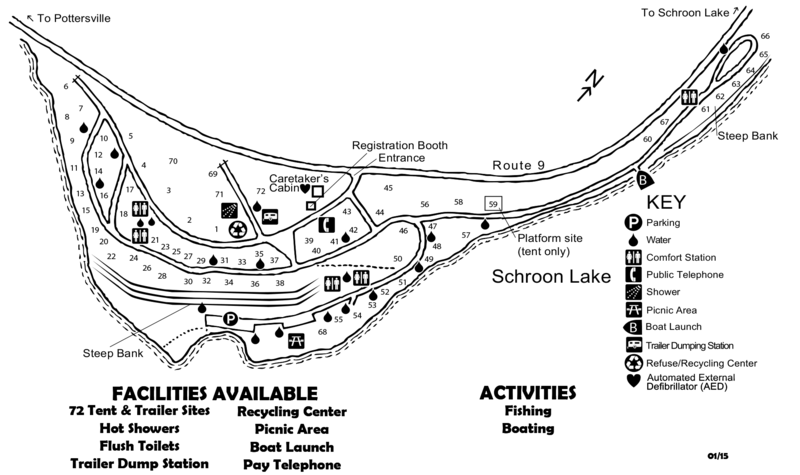 Eagle Point Campground is located on the west shore of Schroon Lake. Camping equipment from tents to 30' RV's can be accommodated. The campground offers a variety of recreational opportunities. Schroon Lake covers approximately 4,230 acres and is approximately 9 miles in length, 1 1/2 miles in maximum width, and has a maximum depth of 152 feet. The Village of Schroon Lake has a quaint "Main Street" with shops and restaurants. The Schroon-North Hudson Historical Museum can be found here. Nearby is the Seagle Music Colony which offers plays, operas and concerts. Explore the nearby Natural Stone Bridge and Caves. Canoeing, hiking, boating, fishing and bicycling opportunities abound. Eagle Point offers 72 sites with 17 sites directly by the water although only about a 1/3 of these actually have water access. Please Note! Eagle Point Campground is currently a work in progress. Photos are currently being loaded and coded into our database at this time. Site details may temporarily show incorrect info (non-reservable vs reserveable, tent vs trailer specific, site size, electric), so please do not rely on this information until the campground is completed! Boat Launch Basic boat launch right inside the campground. 3 out of 5 lakeside stars. 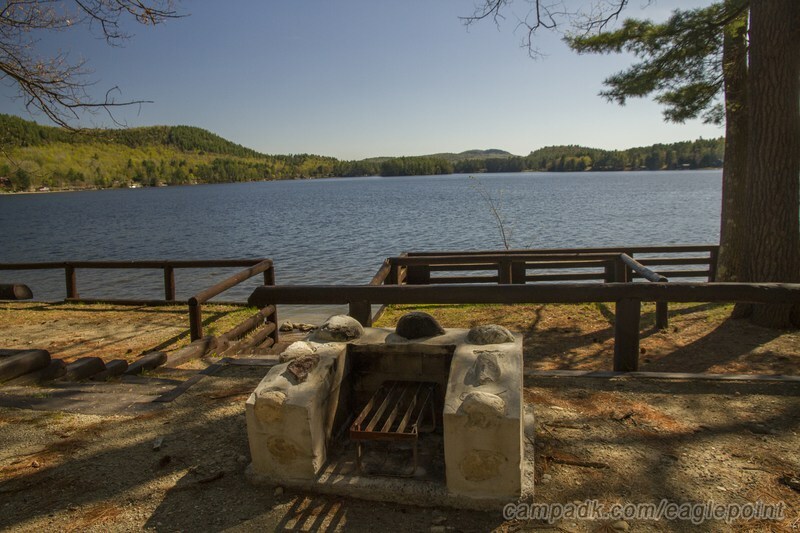 Offers a fine lake view camping experience with sites close, or directly by the water. 20 campsites are by the water, although all don't have water access. Dozens of sites have at least a water view. Located on a large body of water for enjoying water activities including swimming, paddling, boating and fishing. Water Situated on Schrron Lake which is a fairly large long lake. Paddling Paddling on Schroon Lake. Note! The Weather frame below is for the Weather Underground site. This frame is provided for your convenience only. You might wish to open a separate window/tab instead to view Eagle Point weather in more detail. Note! The Weather frame above is for the Weather Underground site. This frame is provided for your convenience only. You might wish to open a separate window/tab instead to view Eagle Point weather in more detail. Note these comments are NOT particular to a specific campsite at Eagle Point !